The key to maintaining a healthy head of hair isn’t just in treating the hair itself. In fact, paying attention to the health of your scalp is essential in keeping your hair looking great and full of volume and shine. 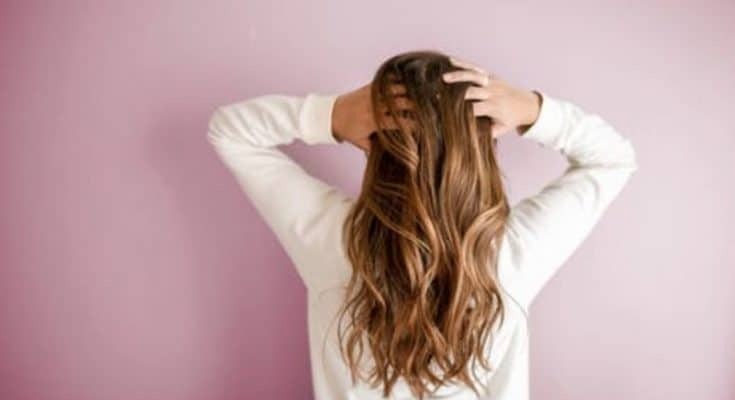 There are many things that can affect the health of your scalp, and by knowing how to identify the symptoms can help you to get to the root of your problem. Here, we take you through the top five ways to keep your scalp and hair healthy. It may seem like an obvious piece of advice for some, but washing your hair on the regular can help to maintain good scalp health. This often overlooked step is the first that people have trouble with, as the washing regime that you use can highly affect how comfortable your scalp feels throughout your week. You should choose a regime that sees you washing your hair every two to three days; any more than this will strip your scalp of the natural protective oils that build up, and washing too infrequently will mean that your hair will feel far too oily and greasy. If you’ve ever been to a salon and had your hair washed before you cut, then you know that scalp massage is a huge part of this process. It’s not done just to make you feel good, although that is one obvious benefit. In fact, massaging your scalp can help to stimulate the blood circulation to your hair follicles, giving the roots of your hair the nutrients that it needs to maintain a healthy level of growth. Each time you wash your hair, be sure to massage your scalp so that you can start seeing the benefits of this process. Dermatitis is a condition that can lead to skin flakiness, itchiness, and discomfort. While you can experience dermatitis anywhere on your body, it can be particularly uncomfortable when it affects your scalp. Itchylittleworld.com has a great write-up that explains this form of dermatitis in depth and advises how you can treat this problem using natural products. Not only will you feel much better and less itchy, but your hair will look great and shine again. When buying shampoo and conditioner in your weekly grocery run, you’d be forgiven for just grabbing whatever you’ve used previously without regard for what’s in it. Most of us start off that way, but if you have scalp and hair problems, then you need to pay attention to what you put in your hair. Try to pick treatments that contain organic, natural products, and avoid those that have sulfate compounds in their ingredient list. Tea tree oil works great for restoring health and shine, so look for this product next time you’re at the store. Your scalp sheds dead skin just like any other part of your body, so exfoliating your scalp is just as important as exfoliating your face. Regular use of an exfoliating scrub will ensure that your follicles remain unclogged and will reduce blocked pores and acne. If you don’t have an exfoliating hair treatment, don’t be afraid to use the one that you’d use on your face, as these products are of identical composition and have the same effect. After a while, you’ll notice the difference in the health of your scalp. Your scalp health is the main driver of the health of your hair, and keeping your scalp free from dirt and excess oil buildup is key in maintaining healthy, shiny hair. While there are many different problems that can affect your scalp health, treating them is easy and painless and will help you to improve your comfort and volume. By using our guide, you can start to regain health in your scalp and hair today. DIY Makeup Setting Spray – How to Make one at Home?